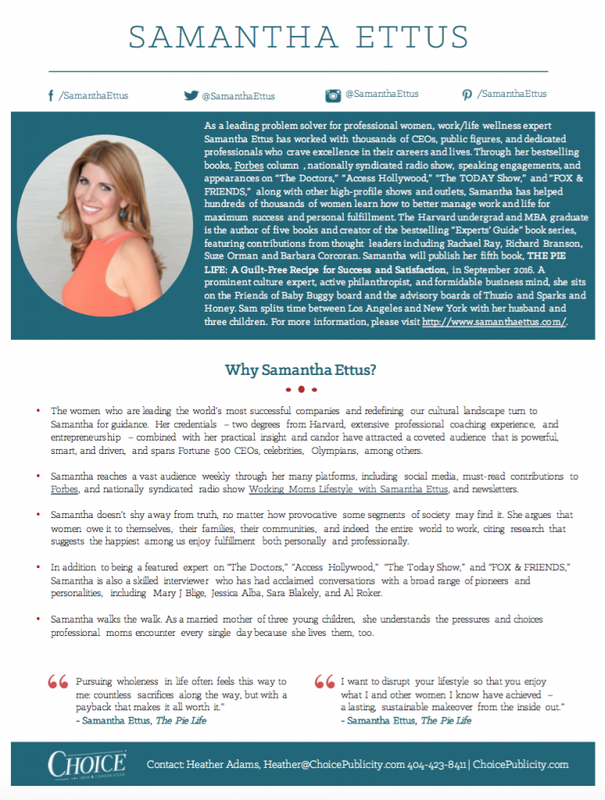 As a leading problem solver for professional women, Samantha Ettus has worked with thousands of CEOs and professionals who aim to perform at the highest levels in their professional and personal lives. Hundreds of thousands of professionals from C level executives to administrative assistants have benefitted from Sam’s unique take on how to manage work/life for maximum success. Since earning her undergraduate and MBA degrees from Harvard, Sam has become a bestselling author of four books, a writer for Forbes, a renowned speaker and host of a nationally syndicated call-in radio show. 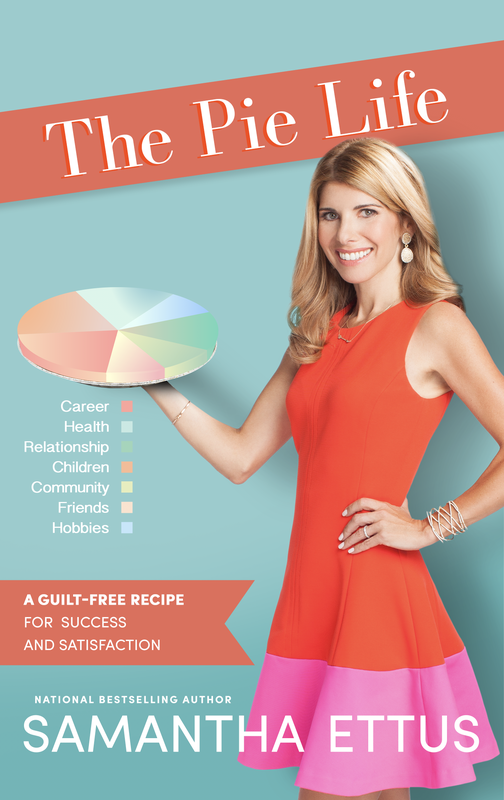 Sam’s fifth book, The Pie Life: A Guilt-Free Recipe for Success and Satisfaction, will be published in September, 2016. Sam is a sought after speaker to corporations and women’s groups and she has a powerful social media following. Sam is consistently called on by traditional media outlets for her lifestyle and career advice. She makes regular national television appearances on shows including The Doctors, Access Hollywood, The Today Show, The Security Brief, Home and Family and Fox and Friends, among others. Widely known for her interviewing skills, Sam has interviewed an array of personalities from Mary J Blige to Jessica Alba, Sara Blakely and Al Roker. She spent two years as host of leading internet talk show, Obsessed TV, which she created and produced with Gary Vaynerchuk. Sam sits on the Friends of Baby Buggy board and the advisory boards of Thuzio and Sparks and Honey. She splits her time between Los Angeles and New York with her husband and three children.